Earnings HQ: FBN’s Jo Ling Kent breaks down JCP’s second-quarter earnings report. PLANO, Texas (AP) — J.C. Penney Co. (NYSE:JCP) reported a narrower loss for its second quarter that beat Wall Street expectations. The beleaguered department store operator also said Thursday that sales rose 6 percent at established locations during the period, the third consecutive quarter of growth. The results offer some encouraging signs that Penney is recovering from a botched transformation plan by former CEO Ron Johnson that resulted in massive losses and plunging sales. Johnson, the mastermind behind Apple&apos;s retail concept, was ousted in April 2013 after 17 months on the job. The board brought back Mike Ullman, who had been at the helm for seven years, to turn around Penney. Ullman is trying to win back shoppers by restoring sales events and basic merchandise that the company ditched under Johnson&apos;s tenure — discontinuing some of the new trendy brands like William Rast and Joe by Joseph Abboud and bringing back store labels. Penney also increased markdowns to get rid of the excess inventory. While it attempts to revive sales, Penney is also focusing on cutting costs. In January, it announced it was cutting 2,000 jobs and shuttering 33 stores. But the company&apos;s results show that it needs to increase how much profit it makes on each item and do more to bring back customers. Penney, based in Plano, Texas, said it lost $172 million, or 56 cents per share, during the period. Excluding one-time items, it lost 75 cents per share. That wasn&apos;t as bad as the loss of 98 cents per share analysts expected, according to Zacks Investment Research. A year ago, the company lost $586 million, or $2.66 per share. Total revenue rose 5 percent to $2.8 billion and beat Wall Street forecasts of $2.79 billion. 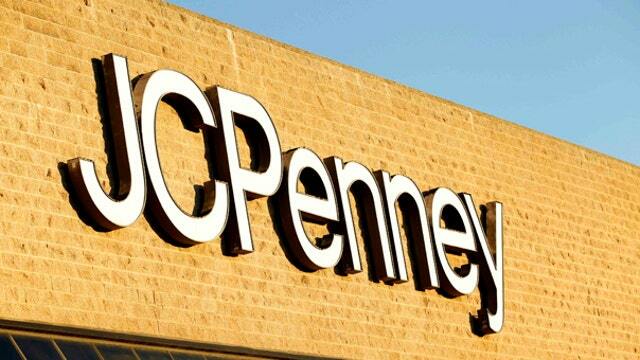 J.C. Penney shares added 67 cents, or 6.9 percent, to $10.41 in after-hours trading. The shares have gained 6.5 percent in 2014, but are off 26 percent in the past 12 months.